Photo by: Westbrook Police Dept. Officer Josh Morrow of the Westbrook Police Dept. Officer Josh Morrow was waiting for his flight when a man behind him suddenly passed out. NEWARK, New Jersey — Westbrook Police said one of their officers saved a man's life in a New Jersey airport while returning from a vacation. 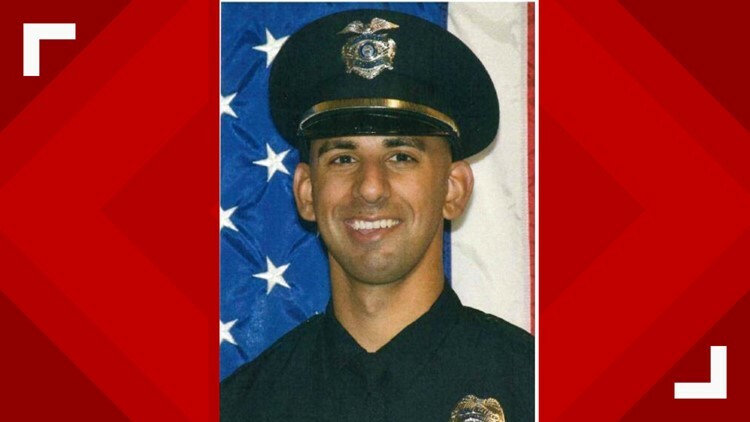 Officer Josh Morrow's initial flight from California to Newark was delayed, causing him to miss his connecting flight. Officer Morrow was standing in line at customer service to get another flight, when the man standing behind him suddenly passed out. Officer Morrow went to his aid, and the man quickly regained consciousness. Officer Morrow called for a doctor or a nurse, but none were around. He spoke with the man, and discovered that he was borderline diabetic. The man then passed out again, his eyes rolled back, and he didn't have a pulse. Officer Morrow jumped into action. He recognized that this was a diabetic emergency, and told someone to get a soda and food for the man. Officer Morrow then began CPR. After a minute or two of Officer Morrow giving CPR, the man regained a pulse and consciousness. Someone got food and soda as directed, Officer Morrow gave it to the man, and he was fine and recovered. "Undoubtedly Officer Morrow saved this man's life. Not only did Officer Morrow give CPR, but he correctly recognized what caused the episode and was able to take command and direct that someone get food and soda for the man," the department wrote on its Facebook page. "We are proud of Officer Morrow and his actions. He is a true hero. Great job Officer Morrow!"